Qlimax Countdown: Five incredible anthems that defined the concept ‹ ALIVE AT NIGHT – Hard Dance Interviews, news & reviews with a twist! Qlimax. It’s unquestionably the most mysterious, cherished Hard Dance concept with a long, rich history that extends well over one decade. Growing to annually serve as home to 30,000 die-hards, Qlimax is an incredibly special night where history is made, memories are created and dreams come true. In light of this spectacular event being in our realm and to get you excited for this weekend’s antics, we rounded up some of the most iconic anthems that have represented this colossal gathering. Although Qlimax had been around since 2000, in 2003 a new development was introduced that would subsequently change the game forever. With the honours going to no less than the Godfather of Hardstyle, The Prophet had the immense task of producing the very first anthem for this mesmerising event. The result “Follow The Leader” is a lot slower than the tunes we’re used to hearing today, however the heavy Trance influences inject a mysterious, intense vibe that matches the concept perfectly. In 2007, Headhunterz upheld the deep, spiritual notion behind Qlimax with his mind-blowing anthem “The Power Of The Mind.” I’m calling it now, this has got to be one of the most legendary anthems not only to represent Qlimax, but Hard Dance music as a whole. The melody is inspiring, the atmosphere never ceases to send shivers down the listeners’ spine and the story-line has the power to connect thousands of people through the medium of sound. This golden track will never, ever be forgotten. 2008. A year when Hardstyle was expanding, improving and booming with creativity. 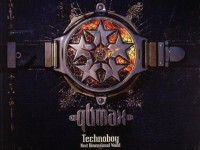 This period of time was in the midst of what we like to call the ‘golden era.’ With Italian legend Technoboy serving as face to this years’ edition of Qlimax, he delivered an outstanding, evergreen anthem titled “Next Dimensional World,” which is a progressive, yet hard-hitting piece of art. The gentle piano melody is truly mesmerising and as the track builds up to its multi-climactic melody, you’ll literally feel every square inch of your body erupt in shivers. I cannot explain how incredible this track makes me feel – in fact, it’s probably my personal favourite Qlimax anthem of all time. In 2012, renowned duo Psyko Punkz stepped up to the plate and delivered an awe-inspiring anthem to represent Qlimax. Eminent for delivering top-quality productions with a darker edge, the pair totally nailed this anthem as they captured the perfect Qlimax ambience. Something I particularly love about “Fate or Fortune” is the way that the track progresses from the eerie intro to the powerful, capturing melody – this one is definitely a hidden gem! 2014’s theme “The Source Code Of Creation” was all about connecting science with spirit, which was displayed in the mind-blowing stage design and strands of DNA that ran over the heads of visitors. This was a truly special edition of Qlimax and representing this unforgettable night was none other than the ‘God’ of Hardstyle, Noisecontrollers. It came as no surprise that NC delivered a breath-taking production, but if you listen closely you’ll hear the most minute details working together with the larger-than-life atmosphere, enigmatic vibes and monstrous kicks to create the perfect anthem. 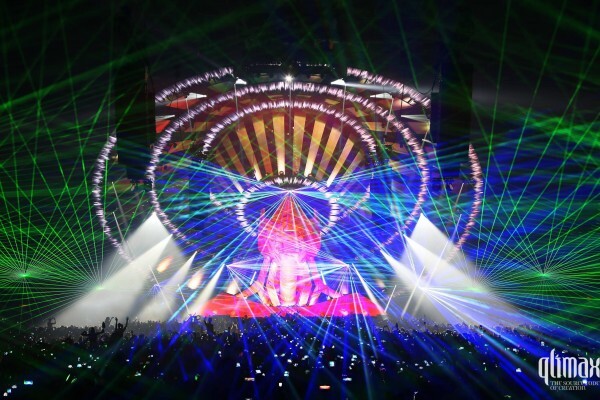 For all of our readers who are visiting Qlimax this weekend, we want to wish you an incredible night. Live it up and make the most of every second, because ‘Qhristmas’ only occurs once a year! AAN’s Picks: 35 incredible anthems that defined hard dance music.